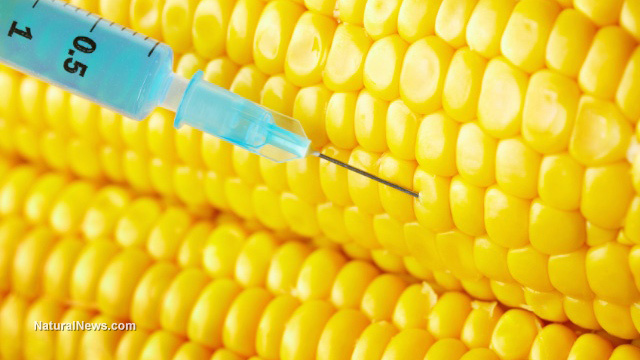 (NaturalNews) A new study published in the journal Archives of Toxicology makes the audacious claim that MON810 biotech corn, a genetically-modified (GM) cash crop owned by Monsanto, exhibits no toxicological effects in mammals. But the study has several major flaws that render it null, including the fact that data appears to have been intentionally removed to make the corn appear safer than it actually is. According to Testbiotech, the study took place over the course of just three months, which isn't nearly long enough to make a proper assessment about the safety of a synthetic organism. Additionally, the study failed to even try to discover a dose threshold at which MON810 might pose health problems, a basic data point that any legitimate study on the matter would have included. Another major issue is the journal in which the study was published, which has major conflicts of interest with the biotech industry. The journal's Editor-in-Chief Jan Hengstler was caught back in 2011 writing a review on the plastics chemical bisphenol-A (BPA), which like the MON810 study found it to be safe. The only problem is Hengstler's review was co-authored by an employee from Bayer AG, a leading BPA manufacturer. "...the failure in this study to determine a concentration of MON810 at which there were no observable toxic effects makes the entire study more or less invalid," explains Testbiotech. "Testbiotech also criticizes the authors (who) purposely published the results of the study in a scientific journal with close affiliation to industry." The purpose of the study, of course, was to provide further "evidence" that GMOs are safe in order to push them in Europe, where the general population is much more skeptical about biotechnology. But it was funded by the European Commission using public money, meaning taxpayers ultimately foot the bill for this atrocious, pro-industry junk science. "We are shocked by the outcome of our own evaluation," stated Christoph Then from Testbiotech about what his group discovered. "According to the EU Commission, the outcome of these feeding studies will be decisive for future standards of risk assessment for genetically engineered plants in the EU." "Now, it looks as though the outcome was manipulated to eradicate doubts concerning the safety of these products." "If toxicological studies are publicly funded we must demand the highest standards in scientific quality and in the avoidance of conflicts of interest," added Then. "This is not the case with this project. This case shows that the mechanisms for securing quality scientific work are not functioning."